Live chat software allows a company’s service and sales teams to connect with website visitors in real time, providing an easy way to answer questions quickly. It is a relatively affordable technology investment—$15 to $80/user per month—that can help improve customer service response time and satisfaction and increase sales opportunities. If you’re looking for a place to start, Freshchat is an affordable live chat option with both free and paid plans. Their paid plans provide customization options, triggered campaigns, smart routing, chatbot, and in-depth reporting to help service and sales teams monitor and improve with data. Find out more by visiting their website and signing up for a free, 30-day trial. Live chat is software that enables a company’s sales and service teams to “chat” with website visitors in real time using a small window on the site. A visitor clicks on the chat icon and starts a conversation with a team member. 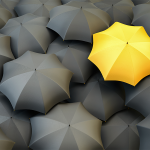 It’s typically part of a company’s integrated service, sales, and marketing technology. The core of the stack is customer relationship management (CRM) software, which helps companies manage relationships with customers and prospects. Live chat can be easy to set up by using a provider, and typically integrates with CRMs as a built-in component or as a separate third-party application. Data from the CRM is then fed to live chat and vice versa. This sharing of information provides sales and service reps with the context such as contact information, sales history, service history, website interactions, even social media streams to quickly and effectively answer questions, solve problems, or make recommendations. Beyond basic conversations, there are other live chat features businesses use to automate the transactions and make the experience for the customer more seamless and personal. These include features such as customized chat widgets, automated chat routing, transfer, and co-browsing. Combined, live chat provides an alternative way to engage with customers and prospects in order to answer questions and solve complaints regarding your product or service. Live chat software benefits businesses that use their website as a service and sales tool. However, industries for which live chat tends to be most effective for include retail ecommerce, automotive, software, consumer services, business-to-business (B2B) services, legal services, and medical providers. This is because live chat allows both the company rep and site visitor to complete other tasks during the conversation, making it a popular channel for both parties. Customer service: Service reps can respond to questions quickly and be engaged in other tasks simultaneously. With other chat features such as chatbots and FAQs, visitors can self-serve and leave the more difficult questions for the reps, saving them both time. Salespeople: Live chat provides an easy way for prospects to contact a business about their products and services. A sales rep can easily and quickly answer initial questions, potentially qualifying a prospect to determine if they are a good fit. Business owners and managers: In addition to being the preferred choice of customers for communication, it’s inexpensive (free depending on your needs) and easy to install. Live chat costs can range from free up to about $80 per user, per month, depending on the number of users, monthly conversations, customization options, level of support, and the advanced options offered. Because live chat is part of customer service and sales, it will often be bundled with CRM software, either free or as a low cost add-on. Small businesses needing basic features will not need to spend more than about $25 per month. A reasonably-priced live chat option for most small businesses is Freshchat. Their starter plan is $15 per user, per month, and includes the features necessary to provide a chat as a channel for your company. Plans with more advanced features, such as automation and customization, are $15, $24, and $50 per user, per month. Sign up for a 30-day free trial. Any good live chat software should include chat inbox monitoring, transfers, chat rating, file sharing, chat history, transcripts, integrations, and reporting as their core features. Expect to pay about $15 per user, per month for these core features, as free versions likely won’t include this functionality. Additionally, pay attention to the monthly pricing, as some are per user while others will include a specified number within that monthly price, making a big difference in overall cost. Chat monitoring and the chat inbox are the heart of the software. The monitoring screen shows the individual chats in the queue. This screen often serves as the rep’s inbox and is where agents field or initiate conversations. Some core features to look for here are visitor details, file sharing, and chat transfer. At a minimum, a rep’s chat inbox should show a visitor’s geographic location, how many times they’ve visited your site, and past chat history. If you’ve collected their email and name either in the current chat or from past chats, this will also automatically populate. Again, this information is identified from their IP address. If they’re a current customer, you may have additional data points, such as purchase history. A good live chat program includes the ability to share files within the chat window. This goes both ways for the rep and the visitor. If your company sells $2 widgets, this may not be a must-have, but if you sell services or higher ticket products, you will appreciate being able to send a technical specification document, screenshot, or e-book to your visitor. Similarly, if your customer needs to send proof that your company did, in fact, cash their check, this is also nice to have. Unless you’re a one-person operation, the ability to transfer chats to other team members should be a must-have feature. The person who starts the initial chat may not have all the answers, so pulling in another team resource into the chat can make for an improved customer experience. However, to make the best use of this feature, your company should have service level agreements (SLAs) in place to define the path of escalation and transfer. In a chat conversation, it’s sometimes difficult to remember everything the rep told you. Enter the chat transcript. 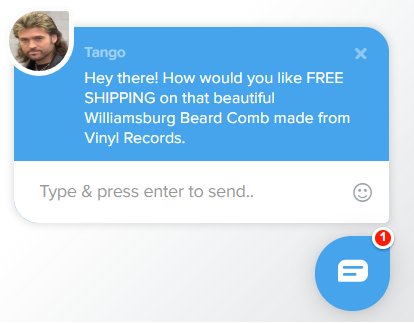 This feature is a verbatim record of a chat sent to the customer by email. It requires collecting the customer’s email within the chat window, usually prior to starting the conversation. This can seem intrusive to some, but it’s not without purpose, and can even give you a competitive advantage. For example, a customer doing comparison shopping might appreciate having a written record of the conversation, as it will remind them of your advantages when they are ready to make a buying decision. However, you should always clearly state why the email address is being collected. The third-party integrations offered by vendors will vary widely, but most know that in order to be competitive they must offer a variety—CRM, marketing, sales, support, and ecommerce are popular categories. These are integrations the vendor has developed that will let you easily connect to other apps with a few clicks. 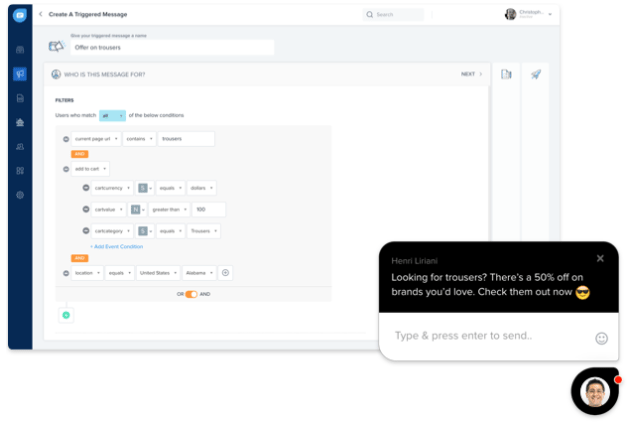 At a minimum, you’ll want to integrate your CRM with the live chat software so that sales and service can see and share data between both sources. Social media is another popular integration as it allows reps to see and respond to customers’ social feeds. If you have an ecommerce component, you’ll want an integration for that platform; otherwise, you’ll need to use a connector like Zapier to pass data, and this will likely involve customization. It’s rare to not find some level of reporting in live chat software (with the exception being some free versions). Paid plans will include various levels of reporting and analytics, such as a daily rep activities with a dashboard, basic chat statistics, and ticket statistics. Another core feature to look for is real-time analytics. This provides a snapshot of what’s going on with chat (e.g., who is chatting, for how long) as it’s happening—handy for managers to monitor. The types of advanced features will vary from vendor to vendor; one company’s $50 per month plan will not offer a feature found in another’s $25 per month plan. In general, these include advanced reporting, additional automation, and chatbots. Advanced plans come with names like “Professional,” “Business,” “Enterprise,” and “Estate,” and monthly price tags of usually $50 and higher. While comparing plans, ideally, you’ll want to know which advanced features you need out-of-the-box so you can start at the lowest price point. Yes, you can always upgrade, but why not start out buying what you know you’ll need? If you’re unsure, the next section on how live chat helps can provide some ideas. Advanced reporting usually provides more granular metrics, such as average response time, first response time, and agent-level activity such as average time spent on chats. It also typically includes pre-built dashboards and the ability to create custom dashboards for both chat monitoring and reporting. Another feature is staffing prediction, which estimates the number of reps you’ll need for a particular day based on past chat history. Most basic chat plans offer some level automation, even if it’s just canned responses or email notifications of when chats come in. More advanced plans may offer features such as event-triggered campaigns and skills-based routing. Campaigns can send offers to site visitors who trigger certain events like landing on a pricing page. Skills-based routing automatically assigns chats based on the number that a rep can handle. Chatbots use artificial intelligence (AI) to automate conversations with site visitors. Some companies use them in chat as their first line of contact. For example, a bot identifying itself as such will ask a series of basic questions: “What brings you to Acme Co. today?”, prompting the visitor with options such as “talk to sales, service, or tech support.” The visitor will then be transferred to an actual person. More sophisticated bots can carry on brief “conversations” based on their initial programming and also from their ability to learn from past interactions. Some can pull customer information and answer basic questions like “Where is my order?” For businesses that want to have a 24/7 ability to field sales and service calls, all chatbots can fill this void to a degree by collecting contact information, scheduling sales calls, and providing answers with links to company resources. 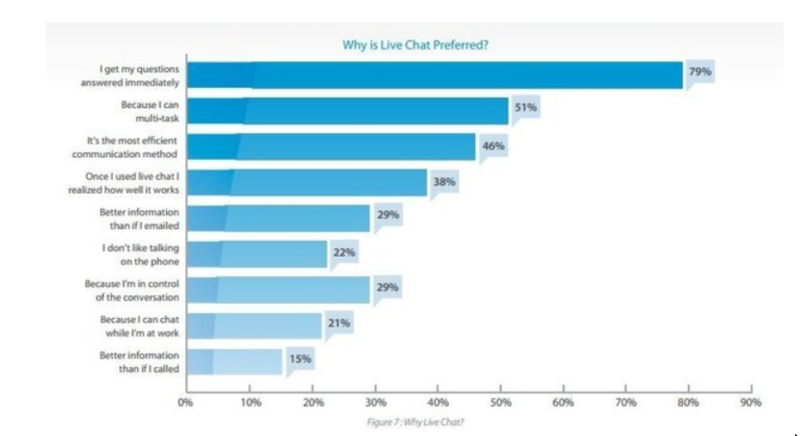 Live chat’s customer satisfaction levels are higher (73%) than any other channel, including email (61%) and phone (44%). One of the top reasons is that people get their questions answered immediately. Another is that it’s the most efficient communication method. These responses make it look like all you have to do is have an employee field chats, answer questions, and move on to the next one. But there’s a lot more to it than that. Companies successful at chat know that there are a lot of moving pieces, both human and electronic, that contribute to a top-notch customer experience and a productive, happy team. These include features like automated routing, co-browsing, self-help, and ecommerce automation. 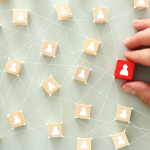 If your business has multiple agents or departments, the ability to quickly and automatically route conversations to the right agent is crucial for maintaining high levels of satisfaction. Imagine waiting five minutes for a rep to respond when the average response time is 2 minutes 40 seconds. It’s not that there won’t be spikes in traffic when response times are slower, but you can take other factors, such as misrouting and overloading agents, out of the equation. 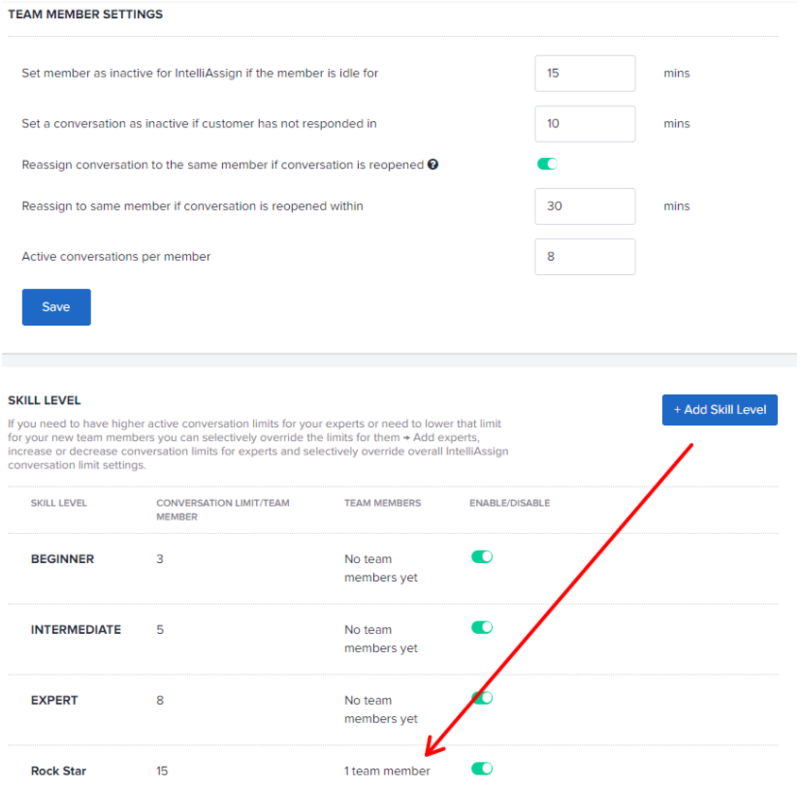 Depending on your chat’s features, you can set up a number of different routing options. The easiest option is to provide options for the visitor to click on (e.g., sales, service, tech support), routing them to the right department. Another option is using filters that use “if/then” parameters. For example, if a visitor types anything with “sales” in the chat window, it will automatically go into the sales chat queue. If you’re in a technical industry, you can give both your customers and support staff a better experience and work environment. Co-browsing is an advanced feature that allows a rep to view the customer’s computer screen and take control of their browser if needed. This goes beyond simple screen sharing, as it lets the support rep “drive” a user’s computer, quickly diagnosing and fixing issues for the customer in real time. If your chat software offers it, take advantage of opportunities to allow visitors to help themselves, at least up to a point. This will give your customers and prospects a small feeling that they have some control over the conversation. It will also free up your team from acting as traffic controllers and from being asked repeatedly to answer common, basic questions. Self-help are features that let you create “paths” for your visitors to self-navigate. For example, in your messenger window, create categories (e.g., sales, service, tech support) to get to the right department. It’s like a phone tree for chat. Include a FAQ in your chat window to assist with frequently asked questions. Clicking on the link will open a webpage with questions, answers, and links to articles with greater depth on the topics. A chatbot, if your software has one, can also do much of the initial Q & A with site visitors to connect them to the right department or by answering questions. Bots can be deployed 24/7 so even after hours, it can dispense information, take service requests, and set up sales meetings. A bot uses artificial intelligence to communicate much like a decision tree where there are “if/then” scenarios. Bot: What is your washer model number? Bot: Would you to like to speak to a customer service rep? Bot: I’m connecting you now with that department. One constant for ecommerce businesses is the struggle to lower their abandoned cart rate—the percentage of visitors who leave their shopping cart before completing the purchase. The average abandoned cart rate is 70%, so determining why shoppers are leaving and then tightening your net will increase your sales and reduce abandoned carts. If, for example, you’ve determined they’re abandoning because of shipping fees, offer them free shipping with a chatbot at checkout if they take longer than a minute to hit the purchase button. 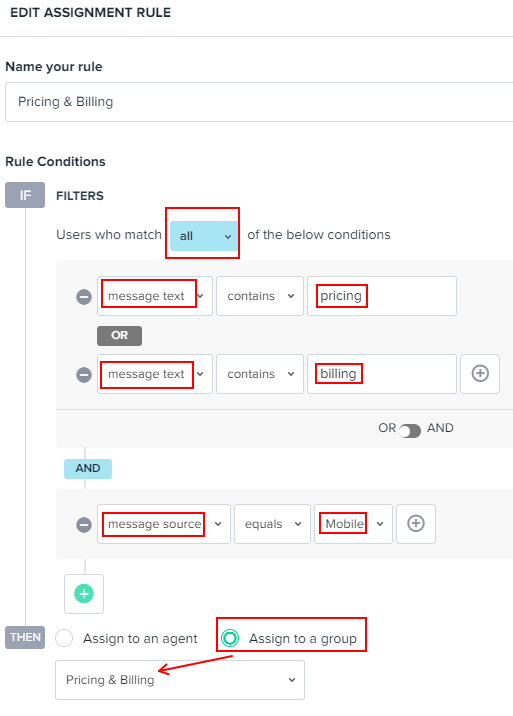 You can also offer incentives to past chat customers by creating filters (e.g., all customers who have had service issue chats in the last six months) that automatically send discount coupons on their next site visit through the chat window. There are dozens of live chat software providers, all offering standard chat functions plus their own advanced features, many that overlap from vendor to vendor. Most providers will offer free trials and even free versions to get you started. For a thorough review of the top chat providers, check out our article Best Chat for Small Business. LiveChat is a competitively-priced (plans start at $16 per user, per month), full-featured live chat solution with lots of customizable options. Its many automation features make both small and growing service and sales teams more efficient. However, LiveChat is best for businesses that have high traffic volumes and need a way to more efficiently handle customer service with multiple agents. To read user reviews, visit our LiveChat reviews page. Freshchat offers lots of advanced features in its relatively affordable plans, such as co-browsing, IntelliAssign, campaigns, and even a chatbot. It’s part of the Freshworks suite of products including CRM, call center, support, and others. Therefore, it is best for teams that want the ability to integrate other business software from the same vendor. Paid plans start at $15 per user, per month. Check out our Freshchat review page for more information. Pure Chat offers one free and two paid plans—$39 per month for four users and $79 per month for 10 users. All plans include unlimited chats, multiple users, and trigger-based actions and alerts. There is also a chatbot add-on. This makes it best for businesses that need robust software with few restrictions and the ability to be “open” 24/7 with chatbot technology. For user reviews, please visit our Pure Chat review page. Tawk.to only offers a free version of its chat service, which includes features such as automated triggers, real-time monitoring, file transfer, unlimited agents, and detailed reporting on visitor details, engagement, and agent ratings. This makes it best for businesses that have a high volume of chat requests and don’t want to be limited in users. For user reviews, head over to our Tawk.to review page. Live chat is another cost and another technology to learn for a potentially reluctant and already time-stressed staff. All valid reasons to consider against it. However, it’s also an easy-to-install tool that can improve your sales and service, giving your business a competitive advantage. So how do you know if it’s the right investment? We’ll do a deeper dive of the pros and cons of live chat and let you weigh them. Improve customer service: Customers prefer live chat over phone and email as a communication channel because they can multitask while chatting and because it’s fast. 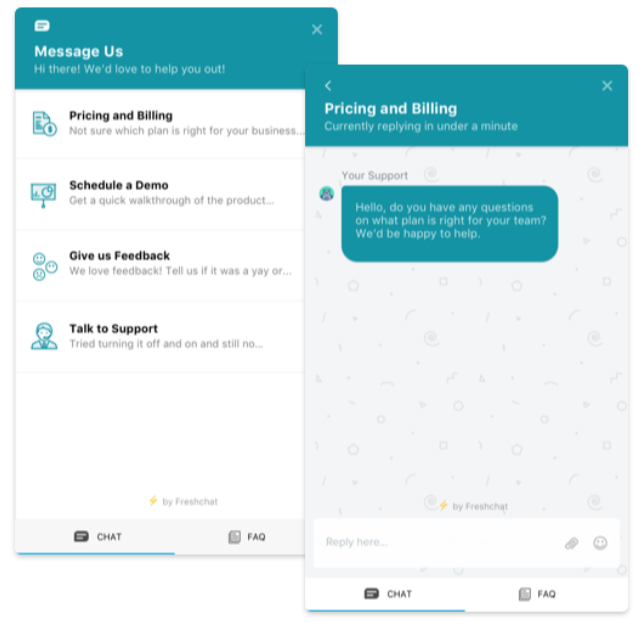 Increase sales: Live chat offers multiple ways to increase revenue: sending automated messages with timely offers; using integrations like Facebook Messenger to engage potential customers on their technology terms; and scheduling sales meetings with chatbots. 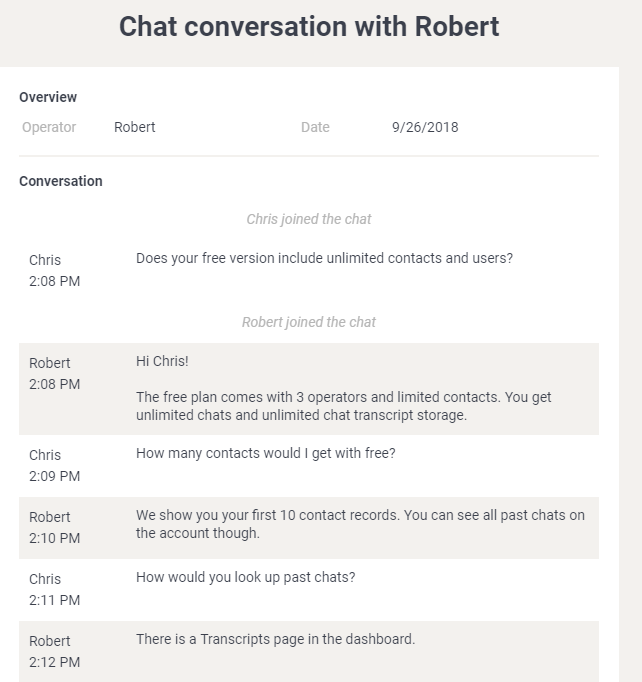 Affordable for small businesses: There are many affordable live chat options—paid plans start at about $10 per user, per month—with most vendors typically offering free trials and free versions. Easy setup and operation: Adding live chat to your website doesn’t require any technical ability and only takes about five minutes to install. And if you can use a mobile phone, you can easily operate chat. Resistance from staff: You will have some pushback from your team if you throw another responsibility their way, especially one that makes them “on call” throughout their day. Cost prohibitive: To get more than basic chat features, you will have to pay for a monthly plan that will multiply if you have additional users. Start with a free plan, and then measure, learn, and make adjustments, such as upgrades, as needed. Another technology to learn: Live chat is another software to learn, but the curve is short and gentle. Vendors have made installation and operation nearly foolproof. And for those still on the fence, there’s always technical support and dozens of videos, tutorials, and articles to help. Does chat require extra staff? That depends on how much traffic your site receives. For most small businesses, I’d recommend having your current service or salespeople take turns fielding chats throughout the day. This can be set up as an automated round robin or by assigning certain employees dedicated time slots to respond. What chat metrics should I measure? This will depend on your business and what you sell. If you sell $10 widgets, then your measuring stick will be different than if you sell $10,000 software solutions. You’ll be less focused on volume metrics and resolution time selling the software. Some common metrics you’ll likely see are first response, response time, resolution time, conversation time, incoming conversations versus resolved conversations, and customer satisfaction ratings. What is first contact resolution important? First contact resolution (FCR) measures contacts resolved by a service team on the first customer interaction, and is expressed as a percentage: divide the number of resolved first contacts by total incidents, and multiply by 100. FCR is an indicator of the overall health of a service team. The average first contact resolution rate for live chat is 70%. Bottom Line: What Is Live Chat Software? 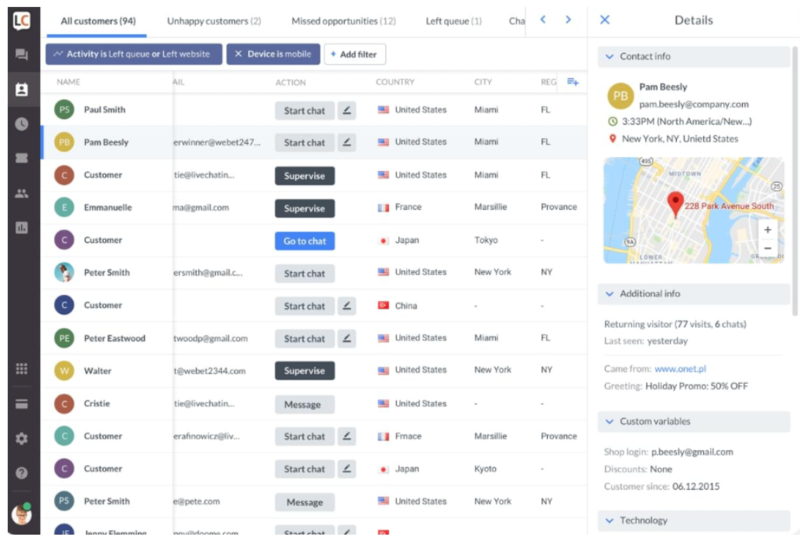 Live chat software connects company reps with their site visitors in real time, allowing them to answer sales and service questions quickly. Advanced features, such as intelligent routing, co-browsing, and chatbots, add automation features that can further streamline an already efficient communication channel. For affordable yet full-featured live chat software, consider Freshchat. It offers free and paid plans with advanced features such as triggered campaigns, smart routing, and in-depth reporting. Each competitively-priced plan comes with 24/7 email and 24/5 phone support. Find out more about Freshchat by visiting their website and signing up for a free 30-day trial.